Looking for something new to do this Halloween? 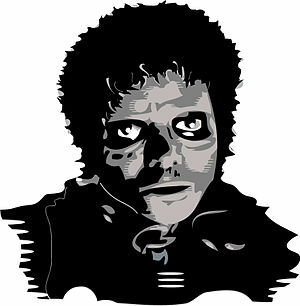 Learn Micheal Jackson’s Thriller dance and participate in “Thrillingham” on Halloween night. The Bellingham community takes this seriously, with practices the full month leading up to Halloween. It all leads up to 2 performances, one at 7:30 in Fairhaven and one at 9 downtown. If you don’t get a chance to take the classes, it’s a great spectator event too! The first Thrillingham practice session is tomorrow (Sept 30, 2010) from 7-9pm in downtown Bellingham at Maritime Heritage Park. No prior zombie experience required. Price: $99 per adult; Parent + Child $139 additional child with parent $15 Kids ages 8-14 must be accompanied by a participating parent. Be sure to wear comfortable clothes and shoes with non-marking soles. Price includes make-up for the performances on Halloween in Fairhaven at 8:30pm and downtown at Maritime Heritage Park at 9:30pm. 50% of net proceeds are donated to Blue Skies for Children. Blue Skies Mission Statement: To raise hope and self-esteem by sponsoring enrichment programs and other essentials for homeless, low-income, and foster children in Whatcom and Skagit Counties. More info at the Thrillingham Facebook Page. UPDATE: Missed the practices? Check out the Thrillingham Practice Video on Youtube for a Halloween cram course! Love your blogs Mariah. Looking forward to attending Thrillingham next week.